Nowadays there is a growing surge of demand for buying products based on animal related designs- most of which are being bought from latest Apps Themselves. 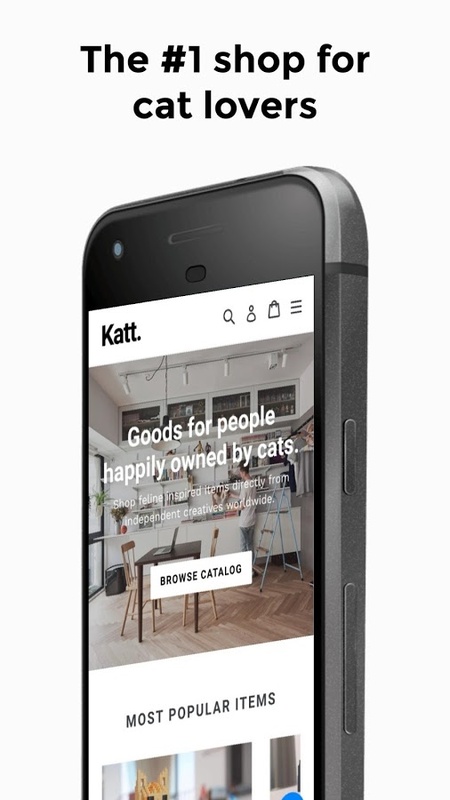 One of the gradually popular Apps to purchase products with animal Designs is the Katt App from the Katt Company. This article highlights about the specialities of the Katt App and its contributions in the World of Arts. Basically, the Katt App is an online store which sells items consisting of feline designs. 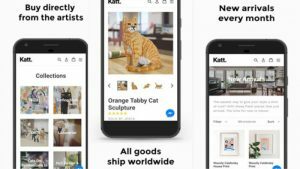 Especially, the App Allows Artists and designers to contribute their ideas by providing designs for the Katt Company- so that in return, the Katt Company applies such designs to create innovative products with the feline theme. At first, the potential buyer is taken to the home page of the App, where the most popular products are promoted for the buyer to see. There is the opportunity to browse the catalogue- where there are unique categories of items which are specifically tailored to imply the feline theme. For example, Artists and designers create designs and the Katt company sells products with their designs under names like surfing sloth, lickstarter etc. The Buyer has the option to click on the products and choose which feline designed item do they require by viewing the varieties. There is also the option to view the most recently new products at the recent arrivals page for the potential buyer- to potentially choose and make purchases. The buyer also has the option to leave any ratings of products they liked or viewed the most. 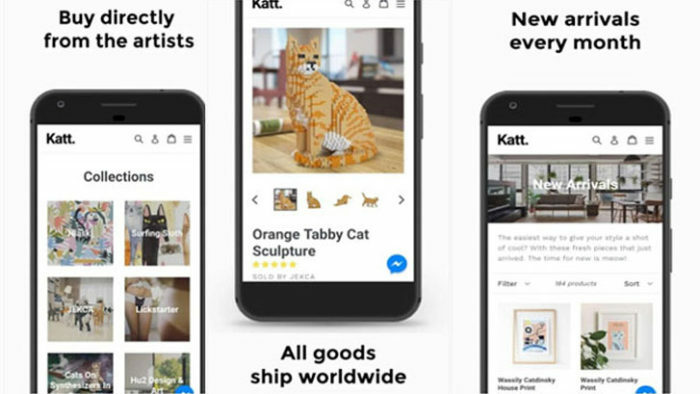 Another Amazing feature of the Katt App, is that Artists and designers can write on the bog section of the App- explaining how they created their feline designs and how such designs became famous products hence contributing to the Arts and adding value to the Retail World. Again, every single item has its own page, where the specifications of the products are given- in the form of a drop- down menu. There is also the facility to buy the products and leave the ratings for the products. Overall, there is a growing trend for buyers to seek and purchase animal related designs- hence this is leading to sellers in creating and imagining inanovative products- specially to suit the “animal instincts” and ostentations of the buyer. Consequently, this is creating a source of jobs and incomes for artists, designers and innovators to provide unique pieces of work that can aid in the larger organisations or retail companies to pursue commerce and merchandising with such innovative creations. Hence, there are overall benefits for the individual buyer to receive a wider choice of feline products to fulfil their feline instincts. rest of the crowd as well as adding value to the retail markets.